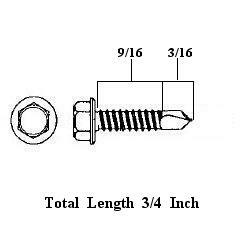 This Size Self Tapping Screws has multiple typical uses. 1. 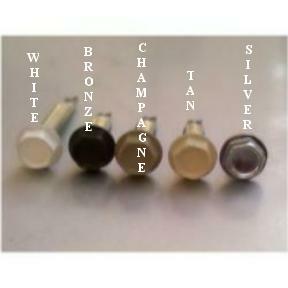 To attach 3/8 or 7/16 Casement Turn Clips to Aluminum Window Frame. 2. 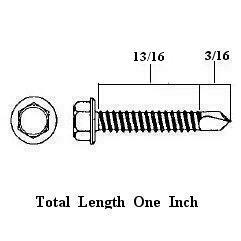 Screw directly through 3/8 or 7/16 thick screen frame into Aluminum Window Frame. Drills the hole and installs in one step using an electric screwdriver and 1/4" driver bit. Does not work in wood. 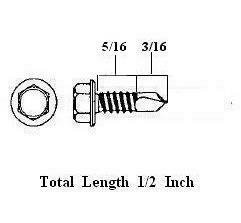 Note: the drill portion reduces the length of the threads.